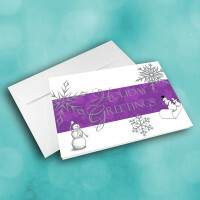 A card that is both whimsical and elegant, this holiday card is a perfect greeting for anyone in your life. 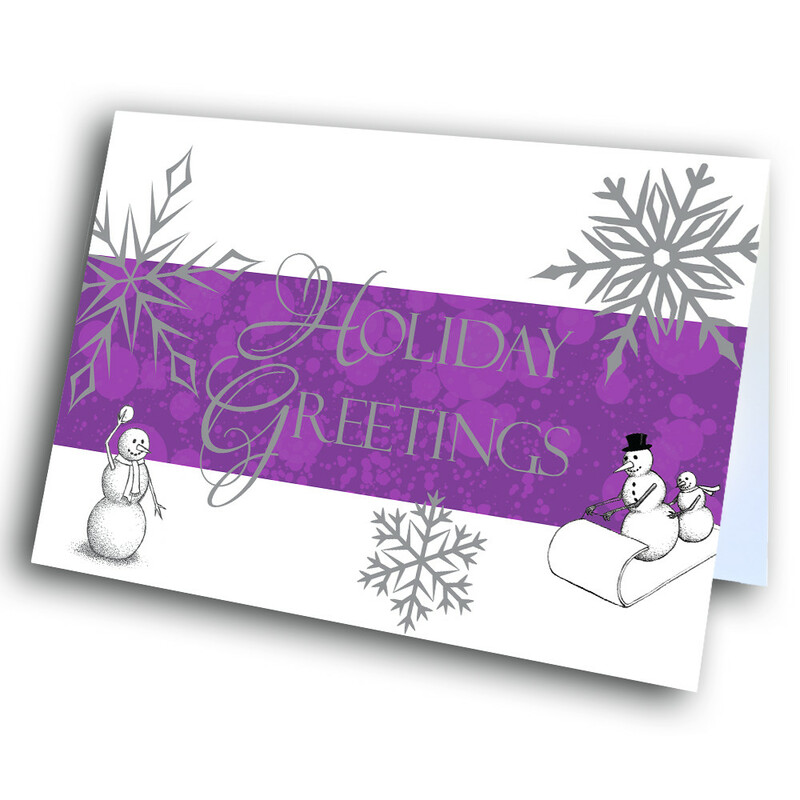 Cheery snowmen frolick amongst detailed snowflakes, all set against a patterned, purple banner. 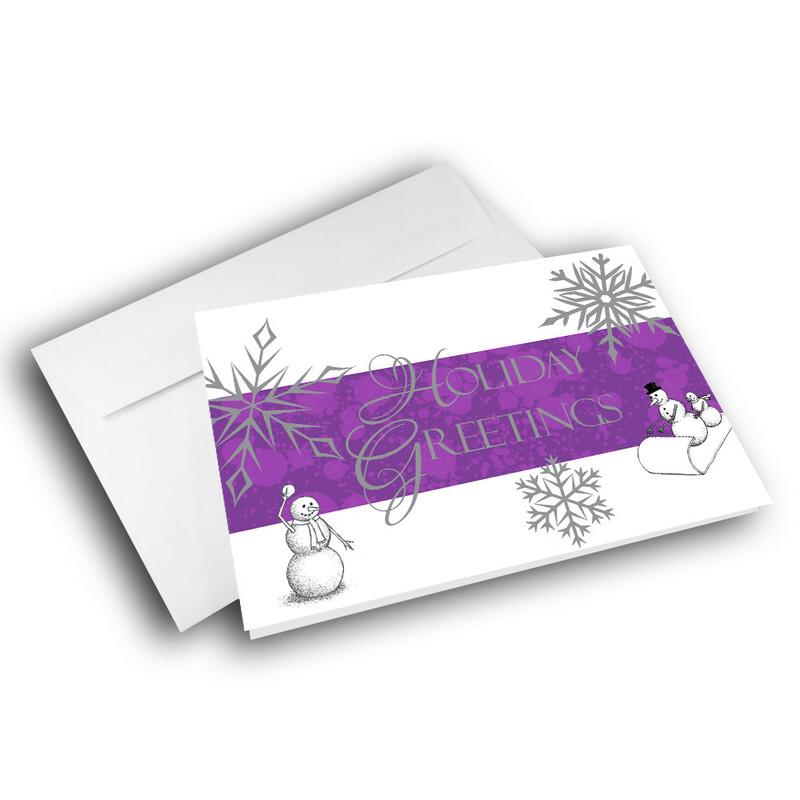 The inside is adorned with a checkerboard of snowflakes against a deep-purple background, as well as a warm message. 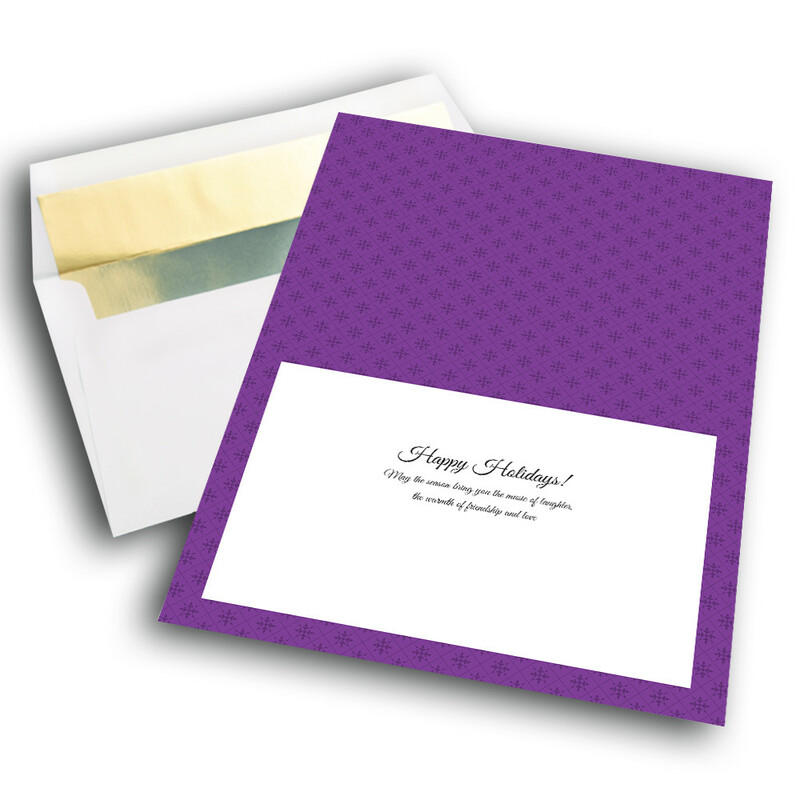 You can add your personal touch to the card as well, with personalization.